Andrew Roxburgh’s account of Putin’s Russia offers vivid anecdotes about Putin and his merciless dealings with top leaders. Charles Crawford is left ultimately unconvinced by the author’s argument that Russia has behaved badly only after being provoked by the West’s insensitive policies. But Putin’s decision on the future of Russia is clear: intensify repression, or try an ambitious Russia Reform 2.0. Either has risks for Russia’s survival. 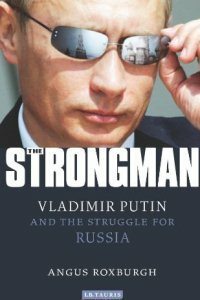 The Strongman: Vladimir Putin and the Struggle for Russia. Angus Roxburgh. I.B. Tauris. 352 pages. December 2011. In The Strongman journalist Angus Roxburgh (BBC, Sunday Times) expands on his experiences working in Russia in three separate capacities. First as a foreign correspondent in Yeltsin’s Russia, then as a private adviser to President Putin’s press team, and latterly as chief consultant to the BBC TV documentary ‘Putin, Russia & the West’. Roxburgh’s book accordingly is a vivid account by a ‘Western’ journalist with excellent senior access of the tumultuous transition of Russia away from Soviet communism to today’s sui generis Russia: a grumpy, defiant, nationalistic ‘managed democracy’ propped up by a feisty but highly inefficient economy. The book looks at the man at the core of this transformation: Vladimir Putin. Cast in a linear narrative, the book starts with a summary of the confusing early years of post-communist rule before getting into its stride as it describes the KGB origins and rise to power of Putin, then the evolution of his internal and external policies. We get detailed insider accounts of the way Yeltsin chose Putin to succeed him, and the early promising exchanges between Putin and U.S. President George W. Bush and U.K. Prime Minister Tony Blair. The important Putin economic reforms – not least the bold ‘flat tax’ initiative – are covered well. Roxburgh offers many vivid, credible anecdotes about Putin and his merciless dealings with top Russians and Western leaders, including how he once produced a dog to sniff at Angela Merkel’s legs as he knew that Merkel was afraid of dogs. Plus, we have it confirmed for the first time from a senior British source that the infamous MI6 hollow rock which the Russians said had been used to communicate with a Russian agent in Moscow was, indeed, genuine. Slowly but surely the mood changes, in response to internal and external events. Roxburgh looks closely at the impact on Putin and the Moscow elite of the startling repression in Chechnya (started under President Yeltsin), and the authorities’ violent but incompetent response to successive mass terrorist episodes. Beyond Russia’s borders there come 9/11, the US attack on Afghanistan and then Iraq, NATO enlargement, the upheavals in Georgia then Ukraine, Kosovo’s independence bid, complex negotiations with Washington over Missile Defence and so on. Roxburgh describes how all these episodes and more led Putin to conclude that Russia had become ‘soft’ and was allowing itself to be pushed around. His answer has been to take Russia back from something resembling modern European democracy towards a much more ‘vertically controlled’ society in which far fewer senior officials are directly elected. Private independent media outlets have been bullied into submission. State-sponsored nostalgia for Stalin and a Kremlin-encouraged Red/Brown fascist youth group Nashi created a context in which ‘dozens’ of journalists are murdered but no-one is called to account. Meanwhile corruption in Russia explodes to the point where it becomes the norm: the chapter on this phenomenon is particularly hard-hitting. The problem with this book is that Roxburgh seems to think that Americans and Europeans who are unimpressed with this sort of Russia are somehow misguided. Explaining Putin’s policies and instincts in terms of his fanatical Soviet KGB training is not enough. He strains for a grand unifying theme to explain why Putin and Russia have moved back towards this corrupt unstable autocracy. He claims to find the answer in the claim that the West‘s (and especially Washington’s) failure to ‘understand’ Russia has led to ‘patronising’ and ‘insensitive’ policies which have somehow provoked the Russian elite to behave badly. We are all guilty. This thesis is launched as the book begins, in a facile portrayal of the Western policy approach in the early Yeltsin years. It recycles without question a familiar but banal argument that the West crassly imposed capitalist ‘shock therapy’ on Russia. In fact the shock and ensuing confusion and (yes) poverty for many millions of Russians came about because the Soviet system itself abruptly keeled over. Ministries emptied out. The machine stopped. There was no policy tool-box for dealing with this situation. Far from being patronizing or prescriptive, Western governments fell over themselves to be helpful and accommodating to Russia’s new leaders. After WW2 we ran extensive courses for influential Germans in ‘de-Nazification’. Nothing comparable by way of de-communistification was even contemplated for Russia, let alone for the rest of the Soviet Union. We did not even insist as a reasonable price for huge programmes of assistance that Lenin, the supreme symbol of communist terror, be taken from Red Square and given a decent burial. Throughout the book Roxburgh finds himself torn between saying that we were too tough, or not tough enough. Somehow after all those supposedly patronising Western experts turned up in Moscow the Russian economy in a few years’ time was growing strongly, private initiative flourishing as never before. He seems to think that Western governments should have called for war crimes trials of senior Russians involved in smashing Chechnya; how ‘insensitive’ would that have been? Worst, he uncritically rehashes the paranoid Soviet/Putinistic assertion that the West has been ‘encircling’ Russia. This last claim needs nailing. It takes Russia’s ‘concerns’ as the defining norm and relegates everyone else’s: Russia ‘encircles’ much of the world. Anything which happens across nine+ time zones somewhere near Russia can be presented by self-serving Russian extremists as ‘anti-Russia encirclement’. The strategic policy issue is simple. For seventy years the Soviet Union pumped out violence, corruption and lies on an incomprehensible scale. So the basic logic of today’s situation is that the descendants of those responsible for so much brutality need to show a healthy contrition if they want their ‘concerns’ to weigh heavily with the rest of us. Today’s Russia is not responsible for the crimes of the Soviet Union. But an honest Russia can not rummage around in the mouldy bun of Soviet history and extract raisins of glory, any more than Angela Merkel can say positive things about Hitler and expect to be taken seriously. Despite Roxburgh’s own efforts with the Kremlin media team, KGB-trained Vladimir Putin has shown himself incapable of communicating with Russians or the rest of us in a spirit of honesty and sensitivity towards the victims of Soviet/Russian imperialism and their millions of relatives across central and Eastern Europe. Medvedev’s more nuanced noises in this direction were not popular in Russia. In short, we have the Russia we have. It will take several more decades to flush communist thinking and KGB nomenklatura from the system. In the meantime we should be patient but firm and straightforward, doing our best to keep our own principles in order and not worrying about Moscow’s. The main alternative is to treat Russia like a lumbering bully, but adopting a patronising, sycophantic tone of trying to ‘understand’ the bully’s grievances as he duffs up the smaller kids on the block while revealing his Soviet tattoos to show how tough he really was – and still means to be. What should we actually do, if we uneasily shy away from sorting out the bully once and for all? Look now and then over our hedges and ask the bully to be less unpleasant? Or do all we can to protect the small kids, while not letting the brawl get out of hand and spoil the neighbourhood? Russians are entitled to be proud and tough. And to fear that their unfeasibly large country faces further spasms of de-imperialisation and will disintegrate into many smaller units. Russia simply does not have the people to deal with the steady Chinese/Asian immigration along its 4000km border with China. The current Putinist leadership runs this vast country in a neo-Tsarist way through psychological force, expressed through the threat and reality of actual force. Moscow smashes Chechens (Russian citizens!) just to show everyone else not to mess with the country’s integrity. How else, it asks itself, can we keep those far-flung territories under our control? The problem for Russia is that such clumsy violence and debased democracy comes with endemic corruption and miserable public processes. The book does not cover the new mood of protest arising from the late 2011 Duma elections. We now see the urban web-savvy children of the Russian elite concluding that Putin’s deal is not good enough. More and more Russians seem to agree with them. Faced with this growing dissatisfaction, Putin’s choice is clear. Intensify repression, or try an ambitious Russia Reform 2.0 but under controlled conditions. Either route has risks for Russia’s very survival. Whatever we may think about Putin, let’s agree that he has a tough job. This review was first published on the LSE British Politics and Policy blog on 4th March 2012. Charles Crawford joined the UK Foreign and Commonwealth Office in 1979; in his subsequent career he became an international expert on Central/Eastern Europe and ‘transition issues’, serving as British Ambassador in Sarajevo, Belgrade and Warsaw. Charles left the FCO in 2007 and is now a writer, speech writer and qualified mediator. His writings have appeared in the Independent, Guardian, National Review Online, Radio Free Europe and DIPLOMAT. His website was voted a Top 12 Non-Aligned Blog in the 2011 Total Politics UK political blogs survey. Read more reviews by Charles.